Gamma Upsilon would like to ask that all of our alumni members consider giving back to the Annual Fund this year and come together to keep the program alive. As a reminder, the Annual Fund runs from September 1 through August 31 each year, and supports the cost of alumni communications and events, house renovations, and Chapter resources on a yearly basis. We ask that in your charitable considerations this year that you please, think about including your Delt Brothers in your giving routine. My reply: Let me ask you— where at the age of 19 are you going to experience joining a group of 100 men, running a business that includes meals for the group, work sessions to maintain the house, learn to play poker, learn that every girl brought into the House required respect, establish quiet hours for study and sleep, play IF sports against other fraternities and, most of all, participate in new member sessions that often went until 3:00 in the morning? Where else can anyone that age benefit from listening to everyone else’s view of what is important about another human being who wants to join your group?" "My life would be less full of great friends who have lasted since graduation in 1977. All these years later, I still get together with my Brothers several times a year in Florida, Ohio, Michigan and Illinois. Our wives have also become good friends and we share great adventures together. These Brothers have shared my life and remain people I can count on in both good and bad times. The interesting part is that we are even better friends today than back in those years at Miami. We share a great past, but the best part is that today we continue make new memories. Being a member of Delta Tau Delta helped me to become the person that I am today." 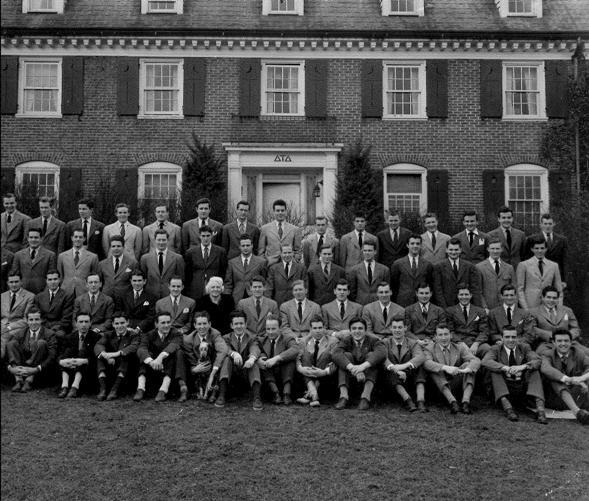 "Whatever successes I have been blessed with, many can be traced to Gamma Upsilon in the late 1950's! Specifically, having older Brothers, especially our Korean Veterans, provide all of us with leadership examples, teamwork and study habits we had not yet fully developed. 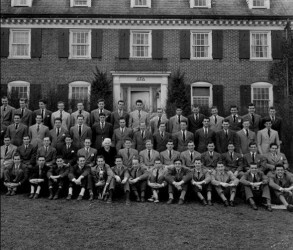 We can be proud of the Brothers past and present who continue to bring 'Love and Honor' to Delta Tau Delta and Miami University."